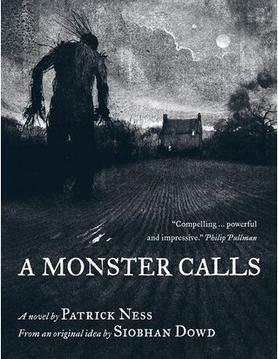 A Monster Calls by Patrick Ness was published in 2011, and although it's written by Ness it was inspired by an idea by deceased YA writer Siobhan Dowd, author of A Swift Sure Cry, The London Eye Mystery, Bog Child, and The Solace of the Road. While the latter two titles were published posthumously (Dowd died from breast cancer in 2007), A Monster Calls was only a contracted idea at the time of her death. Ness was asked to take the idea and write it into a book, which was illustrated by Jim Kay. 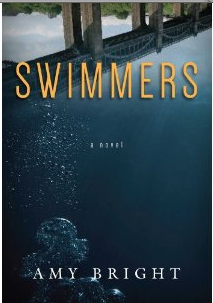 As Ness states in the introduction to the book, "[Dowd] had the characters, a premise, and a beginning. 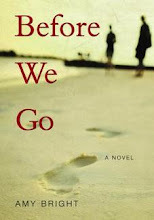 What she didn't have, unfortunately, was time." It's an incredibly successful novel and won both the Carnegie Medal and the Kate Greenaway Medal in 2012. A Monster Calls follows Conor, a 13-year-old boy who is dealing with his mother's terminal illness. He's struggling at school, where he is equally tormented and ignored by bullies and classmates alike, all who know about his home situation. His father has moved from England to the US to start a new family, and he doesn't visit Conor nearly as often as Conor would like. Conor is plagued by a nightmare that seems to occur nightly in his dreams, but it's in reality that he meets the monster who comes to call in this book. He is visited by a monster (who is in the shape of the yew tree behind Conor's house) who visits at 12:07. The monster is old and mythical and insists Conor summoned him for help. Over the course of the short illustrated novel, the monster tells Conor a series of stories, each which imparts the grey space in-between Conor's understanding of black and white. The stories are medieval and have a fairy tale quality. Conor inhabits each story as the monster tells it, sometimes participating in the action, though he is meant to be an observer. In exchange for the three stories, the monster asks Conor for one of his own: the truth about the nightmare that haunts his dreams. A Monster Calls is simply written, but a complicated and complex book. At its heart, the book is about separating thoughts from actions, which reminded me greatly of the Invisibilia podcast episode "The Secret History of Thoughts." As the monster tells Conor, "You do not write your life with words…You write it with actions. What you think is not important. It is only important what you do."